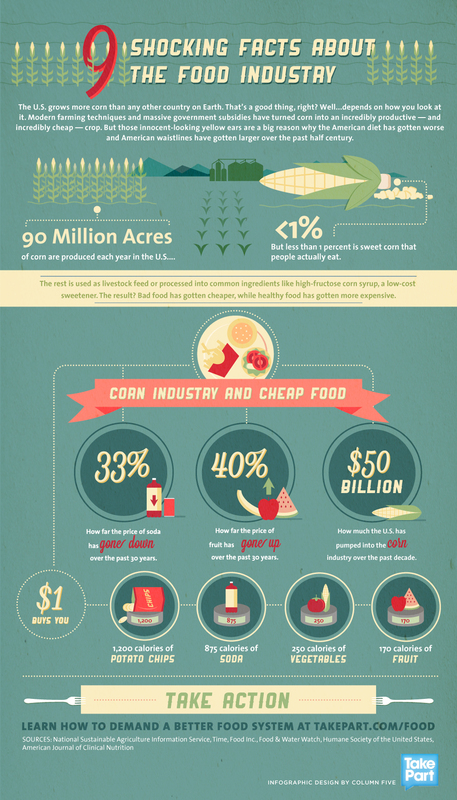 The U.S. grows more corn than any other country on Earth. That’s a good thing, right? Well…depends on how you look at it. Modern farming techniques and massive government subsidies have turned corn into an incredibly productive — and incredibly cheap — crop. This infographic created with TakePart looks at how those innocent-looking yellow ears are a big reason why the American diet has gotten worse and American waistlines have gotten larger over the past half century.